Teacher Bits and Bobs: Jan Brett Author Study and New Arctic Unit Posted!! 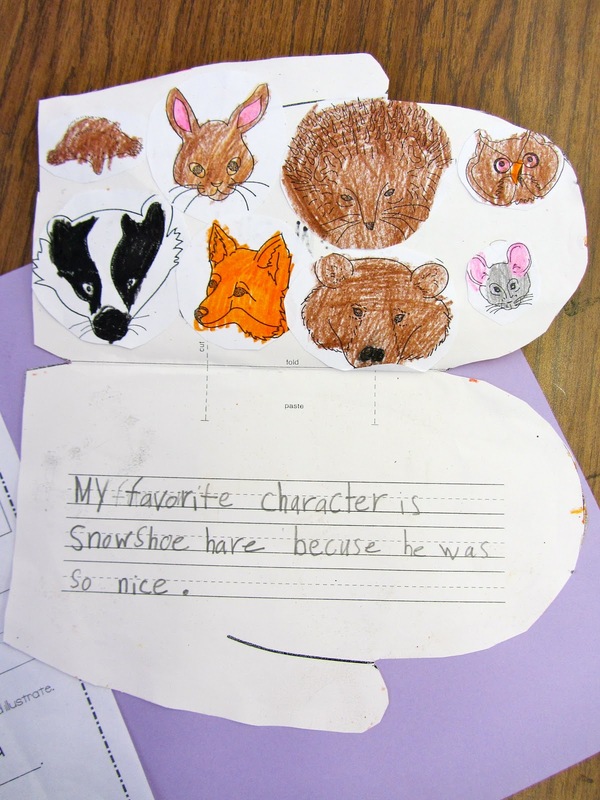 Jan Brett Author Study and New Arctic Unit Posted!! 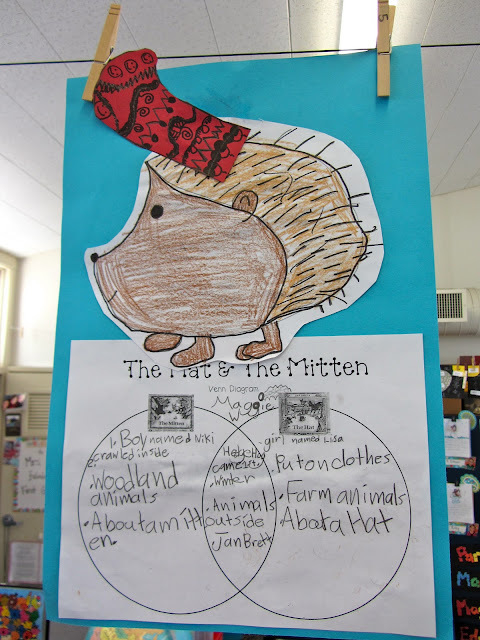 We started our Author's Study on Jan Brett last week. We study her books for 8 weeks and create a project for each book. At the end, we make a really cool cover and bind the projects into a book. Many of the ideas I got from my dear friend Kim who I used to work with (miss you, Mrs. Mac!!) and some I added myself last year. I also got some FAB ideas from my fellow bloggers!! Where did I get this worksheet?? It is FABULOUS!! Is it yours? Please let me know so I can give you all the credit!! We step drew Hedgie the Hedgehog, which came from www.janbrett.com (this website is AMAZING, and she gives sooo many great ideas!!) 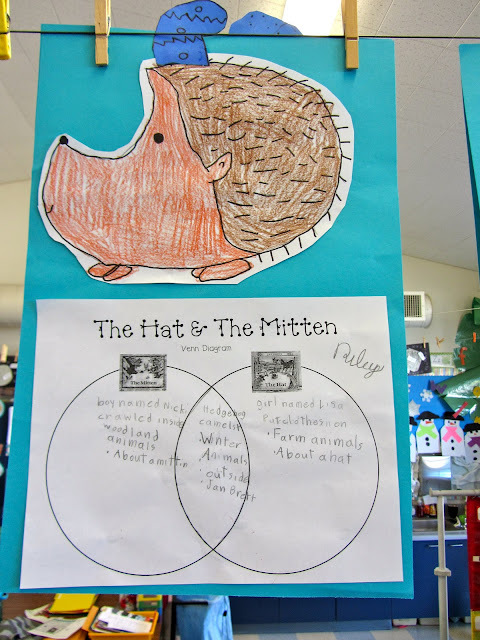 We also filled in this Venn diagram together comparing and contrasting The Mitten and The Hat, which is from the lovely Cara Carroll, of course!! My kids LOVED drawing Hedgie and they especially loved adding their own hat! laminate and cut out word cards. Students unscramble sentences and complete the worksheet, adding correct capitalization and punctuation to their sentences. laminate and cut out word cards. Students sort words into nouns and verbs and complete the noun and verb worksheet. laminate and cut out cards. 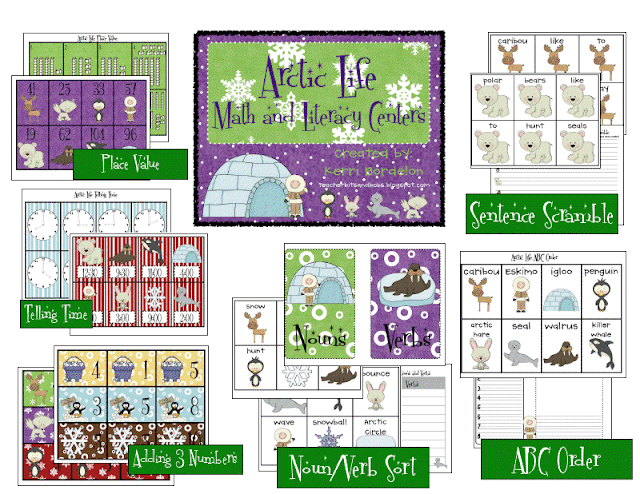 Students sort the number cards by their Arctic characters, add the 3 numbers together, and record the addition sentences on the worksheet. laminate and cut out cards. Students match the place value cards to the number and fill out the corresponding worksheet. laminate & cut out cards. Students match up the clock cards to their time cards, and complete the worksheet. 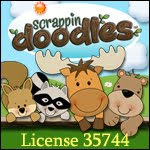 The clip art is SUPER fun, and the 3 Lit and 3 Math Centers are perfect for this time of year!! You can click on the picture above to go to my store!! The Venn Diagram is Cara's from The First Grade Parade! I snagged that baby from her last year as well! LOVE your cute ideas and activities! I am in love with that pencil dish! And your Jan Brett author study is awesome! Thank you, Mrs. McHaffie!! I fixed it in my post!! :) It was driving me CRAZY! 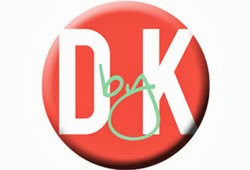 I love your blog:) I have awarded you The Versatile Blogger award! Come by my blog to pick it up! 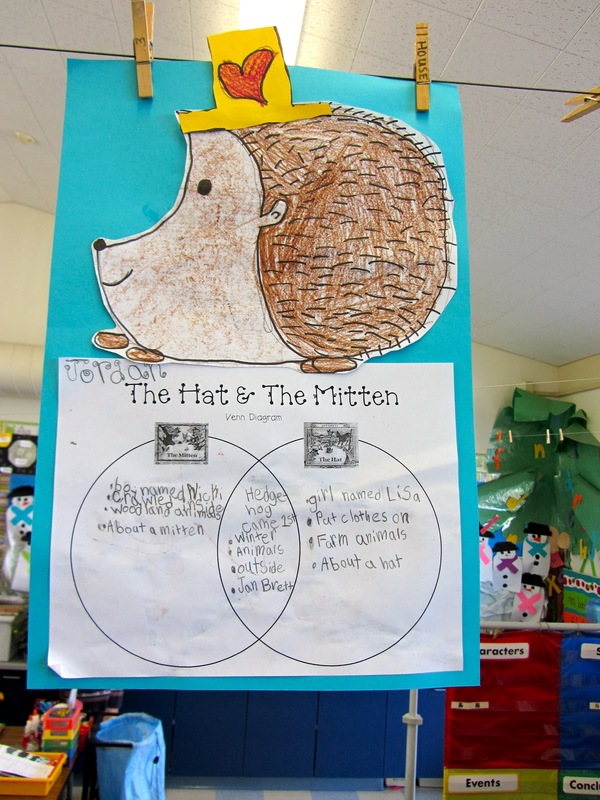 Did you create the worksheets to go with these activities?